As anyone who has followed my summer is aware, roughly a month and a half ago I definitely had something appear in my left elbow that hindered serious climbing. It has a history that goes back to May at least. For the past four weeks I have been meeting with Brent Apgar of Synchro Chiropractic and getting the elbow and other areas treated with a pretty painful massage method called the Graston technique. I feel confident in saying that yesterday I had a session at the Spot that clearly indicated that Brent's treatments were having a considerably beneficial result. I did around 20 problems overall including a near flash of a crimpy five minus and several four spots at various angles. Today, my arm feels fine with only negligible soreness and no obvious negative aftereffects from what was a fairly solid session. 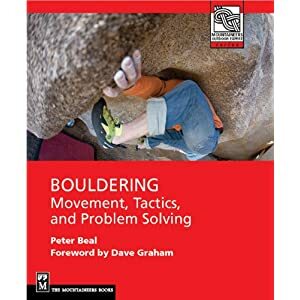 One of the advantages of working with Brent was that he is a dedicated climber and focused on understanding the mechanics and physiology of movement in climbing. We talked for a long time about issues related to climbing movement and its potential for injury and strategies for prevention and healing. He was very open to discussion and straightforward in considering options for getting past the injury. So I am hoping that I can learn from this experience and pass some of this knowledge along to readers who are wondering where to turn. I would add that there is never an easy fix for an overuse injury of any kind and especially not one that may have been months or years in the making.